Our gut is often called our second brain. 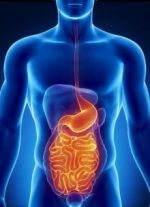 Embedded in the walls of the intestines, the enteric nervous system (ENS) not only controls digestion, it also impacts our physical and mental well-being. Although we are not conscious of our gut ‘thinking’, the ENS helps our sense of what’s happening in our environment and then influences our response. Hence the origin of ‘gut instincts’ and ‘gut feelings’. Science is now recognizing the importance of gut health and refers to it as the microbiome. The microbiome is filled with ‘friendly’ and ‘unfriendly’ bacteria that have a vital link to health and disease – all influenced by your diet and lifestyle! And remember – your gut holds approximately 60-70 percent of your immune system, so if your gut is in bad shape, you can assume that your immune system is in poor shape too. If you regularly experience some of the symptoms below, it could be a sign that an imbalanced microbiome is having a negative effect on your health. Constipation or diarrhea – the balance of gut bacteria determines whether your stool is hard or soft. Both these symptoms often signal that there are more unfriendly than friendly bacteria living in your gut. Poor Mood – the feel-good hormone serotonin is vital to experience joy and happiness. Since 70% of serotonin is made by nerve cells in the gut (the ENS), low mood and unexplained depression can be a sign that you need to restore the proper mix of bacteria. Skin Problems – acne and skin rashes are often linked to “leaky gut”. That’s when incompletely digested food particles seep through gaps in the intestinal lining and get into the bloodstream, leading to food sensitivities, autoimmune disorders and skin that is more sensitive to environmental allergens like animal dander, dust mites and pollen. Rebalancing gut bacteria helps heal a leaky gut. Trouble losing weight – New evidence indicates that gut bacteria alter the way we store fat, how we balance levels of glucose in the blood, and how we respond to hormones that make us feel hungry or full. It seems that the wrong mix of microbes can help set the stage for obesity and diabetes from the moment of birth. Other digestive disorders – heartburn, acid reflux, nausea, bloating and abdominal discomfort or pain all point to trouble in your gut. After checking with your doctor to make sure these are not signs of a more serious condition, improving your gut health can usually eliminate these troublesome symptoms. What and how you eat influences the health of your microbiome. If you eat a diet rich in easily-digestible, whole foods, your microbiome will thrive and you’ll feel energetic and happy. If you eat processed foods containing unhealthy fats and sugar and eat in a hurry, the bad bugs will flourish and you’ll absorb little nutrition from food – making you feel sick, tired and generally low. Avoid processed and convenience foods. Eat plenty of alkalizing greens; kale, spinach, arugula, chlorella etc. Eat raw foods such as sprouts – they contain live enzymes. Limit sugar and alcohol – both fuel bad bacteria. Increase fibre from whole foods like beans, vegetables, and grains. Remove foods that aggravate the gut – dairy, gluten and additives. Chew your food thoroughly to improve digestion. We’re often prescribed antibiotics for common illnesses such as earaches and even viruses – without being fully aware of the repercussions. Antibiotics kill good and bad bacteria, as do most pharmaceutical medications. If you take daily medication, or antibiotics more than once a year, you should replenish your good bacteria through fermented foods and probiotic supplements. Over time oral contraceptives wreak havoc on your gut. They deplete your B12, folate and zinc levels and kill off beneficial bacteria. Think of the damage 10 years of taking the pill could do! A break from the pill, or focusing on a gut-healthy diet will help support long-term use if you must remain on the pill. Alcohol kills off the good bacteria, changes the microbiome and increases overall acidity in the body. It also promotes leaky gut, which promotes immune responses and inflammation in your gut, interfering with proper nutrient absorption and blocking vital nourishment to the gut lining. Where do we get our good bacteria? At birth, we are first exposed to them when we come through the vaginal birth canal, and then again from breast milk. From then on we need to top up our bacteria in the form of fermented foods. If your diet is lacking yogurt, kefir, kombucha, sauerkraut, or miso, you could be missing some of the most important foods for your microbiome to thrive and most likely need to increase these foods to make sure you are replenishing your vital beneficial bacterial. When we’re stressed, blood is diverted from our digestive tract to our vital organs to help fuel the “fight or flight” response, causing digestion to partially shut down. Long term stress results in a chronic lack of blood supply to your digestive tract and interferes with gastric secretions, leading to poor gut health. To combat the effects of stress, try taking a few deep breaths, deep in your belly, to reverse the stress response. Successful, long term resolution of health issues means addressing the root causes of symptoms, not covering them up. It requires a permanent commitment to a healthier lifestyle and it all starts with showing our gut a little “TLC”. If you want to learn more about your gut and how it’s connected to your mood, skin and general health, come to The Clever Kitchen workshop at Stars’n’Bars in Monaco on March 7th 2017 from 12:30 to 14:00. Kombucha, probiotics and lots more! Send an email to susan@staging.theclever.kitchen to reserve your place. Lunch and workshop costs 30€.